People usually only get to hear about the crowded, polluted cities of China. Few can ever imagine the unbelievable dreamscapes that make up the rest of the country. 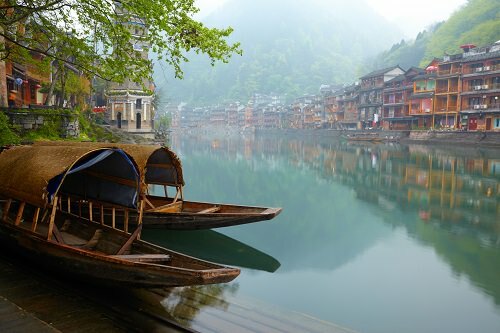 China is easily one of the most beautiful places on earth. If you find this hard to believe, the list below should convince you. 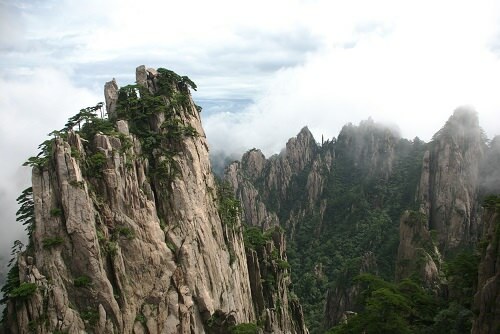 If you’ve ever seen Chinese martial arts films about hermit gurus meditating on misty mountains, one look at the 6,000 foot Mount Huangshan will show you where they get their inspiration. With odd, unearthly rock formations and strange, alien-looking pine trees, a mysterious, thick mist hanging in the air and bone-chilling cold, a trek up Mount Huangshan is likely to be one of the most otherworldly experiences you ever have. A trip to Mount Huangshan is part of the bucket list of many Chinese.